Rye is a great seaside escape from the city of London, while actually only being around an hour and a half’s drive away. Many of the best places to stay in Rye are boutique in style and make perfect weekend-break bases for exploring the alleys and cobbled streets of this seaside charmer. On the edge of town, fringed by dunes, is the long, white sweep of Camber Beach, and the landscape just welcomes strolling, cycling and picnicking. As well as boutique hotels, Rye also has some great restaurants and cafes, and there are some interesting historical secrets to uncover. Our Guru’s boutique-y favourite in Rye is Jeake's House. Packed with antiques and items of interest and charm, this is a friendly spot with an honesty bar, a lovely fire to cosy up to in the parlour and fabulously generous breakfasts. 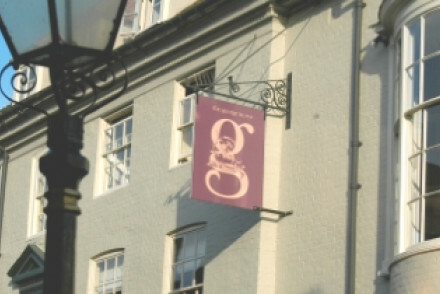 The George in Rye is a good pick for those looking for luxury. The comfortable rooms are pleasingly varied in character and there’s all day dining with a charcoal grill. Plus it's only a short hop to the beach. Ticking, stripes, white painted floorboards and driftwood tones are very much in evidence at the New England-style Gallivant at Camber Beach. The Beach Bistro and the Beach Cafe will keep you well fed while you enjoy the American retro touches and glorious beach. The Rye Windmill B&B is an unusual B&B with some rooms housed in the actual windmill itself - one of Rye’s most famous landmarks. You’re right by the river and a short walk from town, and this is also one of the best hotels in Rye if you’re looking for great value, with rooms starting from just £80 per night. 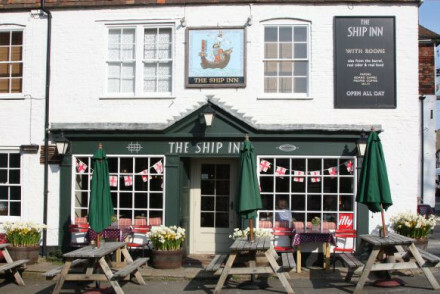 The Ship Inn is a former smugglers warehouse turned pub with rooms in the centre of Rye. Homely, child friendly and near the beach, this is one of the best hotels in Rye for foodies, as their restaurant is Michelin recommended. Charming and unusual B&B - two rooms in the mill itself (one of Rye's most famous landmarks) the rest attached. Next to the river and within walking distance of Rye town centre. This 15th C inn in the centre of Rye is cozy and intimate. Rooms are full of character with beamed ceilings, pretty fabrics and deep baths. Enjoy the warmth of the open fireplace after dining in the restaurant from a locally-inspired menu. There is lots to see and do in this Area of Natural Beauty. Local exploring - A great establishment from which to explore the local area. Great walks - The Cotswold Way National Trail covers 102 miles of the gentle landscape. 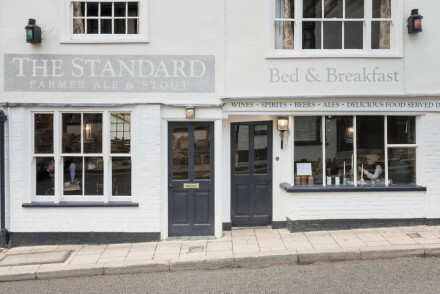 Michelin recommended laid back pub with rooms in the centre of Rye. Old beams, wooden floors, pine tables. Simple and comfortable rooms. An old favourite; quirky, old-fashioned and slightly theatrical B&B bang in the centre of Rye. Full of character, in a wonderful town for weekending. Sights nearby - Situated bang in the centre of town. 'Rye’s most luxurious hotel,’ they claim, and we think that is fair: newly renovated historic inn with plenty of special touches. Great seafood, sumptuous rooms with chic styling. 1960s motel reborn as stylish New England beach hotel with good cafe and bistro dining, on Camber Beach. Driftwood style, retro detailing and a magnificent sandy beach. 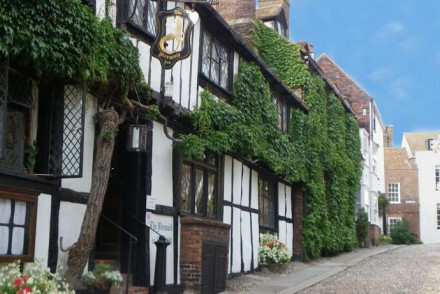 Historic inn in the centre of Rye which dates back to the 13th Century. Rooms ooze period charm with carved four poster beds, sloping beamed ceilings and gorgeous original features including a vast fireplace in the bar. Delicious 2 AA Rosette dining. A perfect weekend getaway.